Second Nature Builders is one of Brisbane’s premier home extension and renovation companies, who are based on Brisbane’s Northside. This gives us easy access to serve all of North Brisbane and the surrounding communities. We are a boutique building company focussing on a limited amount of projects at any one time which means we can really focus on detail, quality and management. As a multi-skilled crew we complete a majority of the work in house and have tried and tested contractors for your electrical and plumbing requirements. This also means we can complete the project in the shortest possible timeframe. We pride ourselves in being considerate and tidy while we work – especially around kids and pets and family lifestyle. In order to provide the best service to our clients, we are fully licensed and insured. Moreover, our 25 years professional experience speaks for itself. We are a family business, allowing us the ability to offer quality service with a human touch for all our projects. 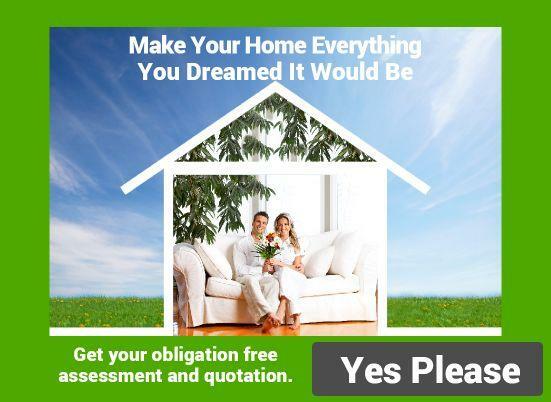 For a no obligation free quotation, contact Sean 0438 325 566 or complete our user-friendly quote form. Our service options are vast and varied, and we seek to please the individual needs each client has. Does your home need a bathroom overhaul? Could your home benefit from renovations to the kitchen? We can work with you to create extensions for decks, sun rooms and other interior living spaces. We can transform your existing house into the home of your dreams. Our work has been represented in a wide variety of projects. This includes granny flats, tiny houses, open plan renovations, down under enclosures and total makeovers. In addition to our commitment to clients, we are also devoted to the environment. Our work is grounded in green building principles. When given the opportunity, we will seek to maximize sustainability in our projects from the choice of materials and building methodology to sustainable and energy efficient design principals. We are also dedicated to keeping our costs as low as possible for the sake of the budget. Our effective work practices save on material costs, and that savings is passed along to the client. To learn more about what Second Nature Builders can do for you, simply contact Sean 0438 325 566 or complete our user-friendly quote form for a free quote. Sean did our kitchen and bathroom renovation for the sale of our apartment. He, also helped us to get set in our new home. He was very good around our pet labrador and new born baby. We would highly recommend him as a builder. My husband is away for much of the year with the navy and just couldn't get all the things done at home that we wanted. Sean and his crew built a lovely shaded deck and new gate. We now have a private entertainment area. Second Nature Builders constructed a great out door area with a deck that is perfect for the Queenland weather. The price was very reasonable. I dont know anything about building, so I left it up to Second Nature Builders do my home renovations which I needed finished by Christmas. The work was done on time. .I now have a new kitchen and bathroom and a outdoor dining area under a pergola He was reliable and the work was finished to a first class standard. Sean managed to fix water leaks that we have had for over 10 years and no one else could get it right. His knowledge and experience was obvious and he explained all the work clearly to me with photographs. As a designer I battled to find a builder to convert a run down shed in my garden to an Art Studio that I had designed. I was able to work with Sean and make changes during the process to get exactly what I wanted. Second Nature Builders fixed my rotten deck at my rental property. The tenants had complained and were paying a reduced rent while this was rebuilt. Thanks to Sean for turning this work around so quickly, and within budget. The result looks amazing. Very happy with the quality and detail of the finished product. Thankyou for the effort you've put into the job- you've treated it as though it is your own home.